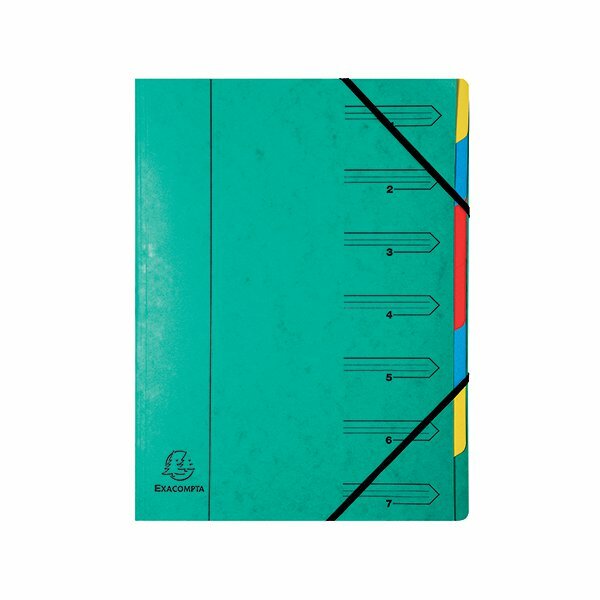 This bright Europa part file features durable 400gsm pressboard covers and 7 sections for organising projects, reports, presentations and more. Each section can hold up to 25 sheets of 80gsm A4 paper and the file also features an elasticated closure to help keep contents secure. There is also a pre-printed contents panel on the front cover for quick reference. 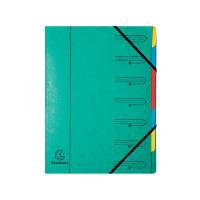 This bright green 7 part organiser measures 240 x 320mm.